Thinking of treating yourself to a new kitchen? Read these 4 trade secrets before you make a decision. 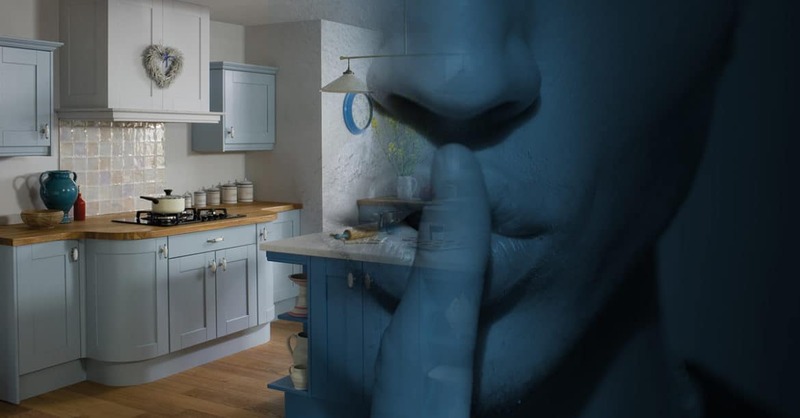 I guarantee that after spending 10 years fitting kitchens supplied by DIY sheds, big Retailers, trade only retailers and small independent retailers I can let you into some of the trade secrets and help you navigate through some of the unnecessary jargon designed to separate you from your hard earned money! 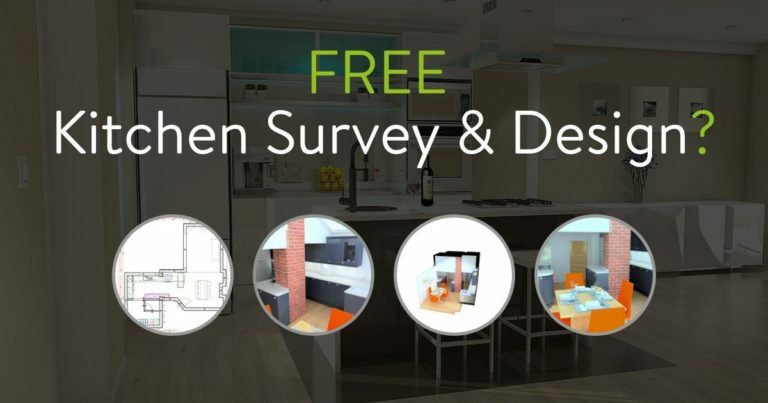 #1 Why are kitchens surveys and designs free? Ever heard a famous saying, “There’s no such thing as a free Lunch”? For a kitchen designer to leave the office, travel to your home, spend an hour measuring and listening intently to your needs and desires costs money. To then sit down, design, tweak, re-boot the computer after it crashes and then continue designing takes time and investment from the retailer. Obviously this cost is covered within the margin on a sold kitchen. Some kitchen retailers employ teenagers with little practical experience in a kitchen because they’re cheap. After all, how hard can it be to design an individual kitchen for an individual room with personal requirements and a tight budget? Some retailers pay a low basic wage and promise fantastic commission on every sold kitchen. Have you ever been into a showroom where the staff have pounced, hungry for a hefty commission cheque? Or had a designer go and “speak” to his manager to offer an extra 10% discount to close the deal? We at K2 are different. Our designers are not paid commission. Our designers are given a set time to finalise the plan. Our designers are not given strict sales targets to reach. To listen and get the design right. Spend as much time as required to get the design right. To focus on providing the best kitchen at the best price FIRST TIME. # 2 Is there really a difference between retailers? All kitchens are different. There are doors that are made from chipboard, MDF & solid wood. That’s before you start talking about the thickness and quality of the coloured bit you actually see wrapped around the wood. In order for the designer to do their job properly they need to have a budget to work on. The typical British reaction is “I’m not telling, as it will cost me the budget and more”! We at K2 have 5 different white gloss doors that we could sell you. All priced at different price points and differing in quality. We need to have an idea of your budget in order to accurately plan your dream kitchen. If your dream doesn’t match your budget it’s our job to help you discover compromises that you may not know even exist. In all honesty, you may even discover some new gadgets that change the way you use your kitchen. Have you ever read the small print? It usually reads something like “on any like for like kitchen”. Having read this article, you will realise that all kitchens are different and that is their get out clause. Pure laziness. If you take your design from one retailer to another then you start a game similar to Chinese whispers. Every designer will look at it and interpret the space differently. They may misread the measurements or copy a mistake made by another designer. A kitchen that doesn’t fit. A wait for remedial materials. A frustrated fitter. (As they have the next 10 jobs all booked in). An annoyed customer and a delay in reaching that finished dream kitchen. Why do the retailers do this? Referring back to No.1 – They are utilising another company’s time and effort to save them money. We will always want to measure the kitchen ourselves. We will always want to hear directly from you on your idea of a dream kitchen. We will often offer a fresh perspective on your dream kitchen. Get honest kitchen advice and stunning functional designs without the salesman. #3 Why is kitchen fitting expensive? Our previous experience has taught us that our customers are always surprised by the sheer volume of boxes, packets and differing sizes of screws that are delivered with a new kitchen. True kitchen fitters (not have-a-go-heroes) are hard to find. Trust us, we are always on the lookout for good, competent and reliable fitters. Once upon a time, a fitted kitchen consisted of a few flat pack units and a length of laminated worktop. Nowadays, there are so many variations that I honestly believe kitchen fitting has become its own sub-trade. I expect any of our installers to be able to be given any of our products and know instinctively which type of screw goes where and which direction a piece of wood needs to be cut in to stop it from splintering or chipping. We also use specialist power tools with blades that cut in a different direction or special jigs that are specific to individual manufacturers. Years ago, whilst trading as a carpenter/kitchen fitter, I was asked to pitch a roof for a client. I literally didn’t know where to start! The guy that ended up pitching the roof asked me to fit his worktops for him as they were in a 300 year old barn conversion and the walls had more angles than most roofs. Hand pick our installers having seen examples of their previous work. Have copies of all relevant qualifications, liability insurance and offer full technical support. All our fitters have access to the latest specialist tools and supplier funded training courses. All our fitters are visited at your home daily to check everything is as it should be and advise on any queries before they become a problem. By this point, I’m guessing you have realised I’m a “Kitchen Geek”. #4 What’s the secret behind kitchen sales? You may have seen some amazing sales offers being promoted recently. 60% off and an extra 15% if you buy this bank holiday! How much do their kitchens usually cost? What sort of profit margin do they have? 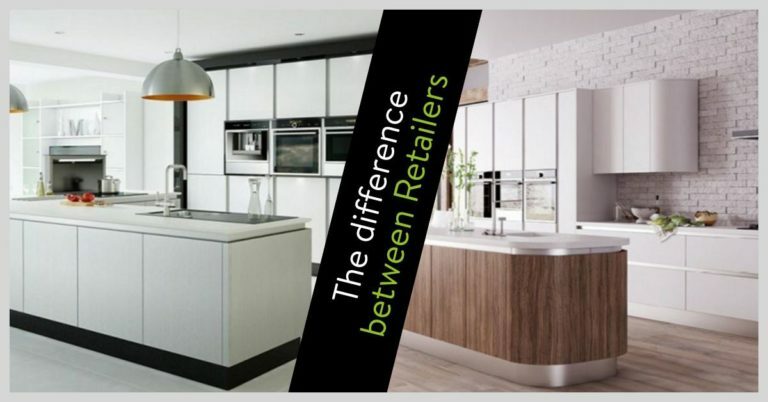 We at K2 Kitchens don’t do annual sales or huge discounts. We are a small, independent supplier who will always give you our best price first time. If it’s too expensive, then work with us to find a way of getting your dream kitchen within your dream budget. We have decades of specific kitchen experience between us. After spending some time becoming disenchanted with the industry we believe we have come up with a fresh approach to providing you with your dream kitchen. When you buy from us, it pays for our mortgage, our kids swimming lessons etc, etc. Not an additional few pence on our FTSE share price and a large bonus for the CEO. We care. We are passionate about our industry and strive to do a good job. This is for us and our reputation as well as you and your kitchen. We believe that the “devil is in the detail”. This carries through our philosophy from getting the initial design right to ensuring that the finished kitchen is handed back to you clean and any queries you have being answered. Who better to guide you through the “replacement kitchen journey” than a small independently run firm who thrive in the detail! Want to start your kitchen journey with us? Scroll down and click “Start your kitchen”. We can’t wait to speak to you!